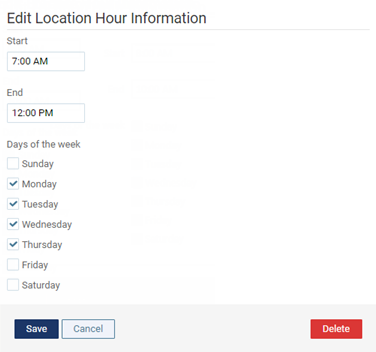 You can delete any of the time ranges that comprise your office hours. On a location's Location Hours page, click (or tap) Edit Hours. The available time ranges appear in a list. The options for editing the time range become available.